I had a similar reaction to “The Amazing Adventures of Kavalier & Clay” by Michael Chabon. Not that he used a gay slur, more that his gay characters characters [SPOILER] had horrible things happen to them which left them lonely and alone. The trope of gay characters coming to bad ends pissed me off so much, it inspired me to write books — with positive characters who don’t come to nasty ends. For me, the finest book dealing with mental illness while being gay positive, is “Perks of Being a Wallflower” by Stephen Chbosky. The book is wonderful and the movie adaptation, directed by the book’s author, is also very good. Another good book dealing with mental illness and sexual orientation is “Oddly Normal,” written by the affected boy’s supportive father, John Schwartz, with input from both the boy’s mom and their son, now an out and proud young gay man. Both these books are available for Kindle and as audio books from Audible. I love Perks of Being a Wallflower, and the movie is fantastic. I’ll have to check out Oddly Normal. I’ve heard good things. Thanks for the recommendation! I actually loved It’s Kind of a Funny Story. I’ve read it four or five times cover to cover, and whenever I regress into a really bad day I settle in with Craig and explore my mind all over again. I’m gay, and I did struggle with that for a long time. It does bother me when people use my identity as a joke or insult. But Craig and this book saved me many times over. It taught me to respect the chemical imbalances raging inside of me, and most of all it taught me that I could win, that I could find my way out of the maze and make my mind and my depression into something beautiful. When Ned Vizzini committed suicide it felt as though a dear friend of mine had lost his battle. It felt as though Craig had relapsed and jumped off the bridge. It immobilized me for days. More than anything I wish I could thank him, I wish I could have helped him the way he did me. But I can’t. It’s Kind of a Funny Story is far from perfect, and I do not deny the awfulness of slurs such as that found in the fourth last paragraph, but I think that with all of the good it has done, for me and for at least one other person I know, I can forgive Ned Vizzini for his language, no matter it’s origins. There are societal structures that enable these comments, and even if they were meant only to convey the speech patterns of teens, they are wrong. But I don’t begrudge him. He’s done too much good for me and other silenced, mentally ill youth to damn him for this comment. 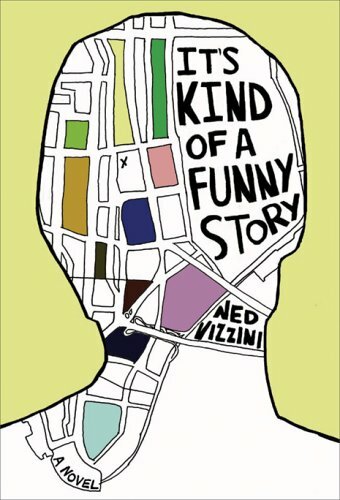 I wish he hadn’t made it, but that he did, and that it’s been pointed out, does not ruin my love and respect for Ned Vizzini, for Craig, and for this vastly comforting book. 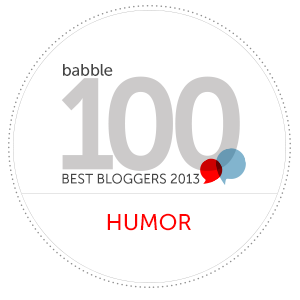 Thanks so much for writing and sharing your perspective. I’m really glad that you found so much comfort in the book and that the single gay slur didn’t bother you. I agree the good that the book has done for many people far outweighs the negativity of the slur, and I hope other gay readers were able to gloss over it as you did. Actually, that’s not true. I hope they still liked the book but found its use of the word “gay” as a pejorative offensive, like I did, and that it made them angry. We should never be complacent with gay slurs. By no means do I mean to “damn” the author or his book over one word on the last page. That’s not what my post was about. I’m glad I read this book, and I’m glad it means so much to so many people, including you. But if I can send the message that I felt like I got punched in the gut on the last page, maybe it’ll make another writer think twice before using a hurtful word where plenty of other words would’ve worked just as well. Or at least it could reach some depressed gay kid somewhere and let them know that yes, dammit, they deserve better. That is sad on two levels. Sad that Vizzini succumbed to his demons. Sad that he was unenlightened. Personally, I think his editor is as much to the blame for that blunder as he was. There are things that pop out of our heads before we’ve really thought about them. Lordy, I know I’ve stuck my foot in my mouth, saying things that didn’t reflect my real feelings, but popped out because…well, they are easy, horrible cliches. His editor should have caught that and recognized it for what it was and the negative impact it would ultimately have on the entire message of his book. On the positive side, there are more and more well written books and essays now that, like yours, provide hope and perspective to people who are struggling. Keep writing. Keep shouting out to the world about the injustices that bedevil us. Skip it like forget about it? Just remember the parts of the book you did like and let the author rest in peace. I believe the author used the words “its kinda funny” for a reason – don’t you???? Every time someone says “That’s gay” I respond with some variation of, “You think it’s fabulous?” I think half the time people don’t hear themselves, I like to point it out. I always have a similar reaction to the word ‘retard’ or ‘retarded’, so I can totally relate to your frustration. Even full grown adults say it… to each other about themselves or even their kids. People think it’s good and clever to use derogatory terms to elevate their own ego. Without thinking how that makes gay, disabled or other people feel. As if their misfortunes are somehow linked to part of someone else’s life?! Making it appear as their shortcoming. The English language is full of enough eloquent words without having to put someone else down. Your point is well made!! I love that I have just been changed by your writing. I never really thought saying “that’s gay” was in issue and I have said it to many a gay friend while chatting about something or other. I’m sure I’ve also heard them saying it too. I guess it can be hard to let go of things you have always said and never really given a second thought. I remember being horrified by words my grandad would use. When you pulled him up on it he would just say “but that’s not offensive”. To each generation a new ignorance is born! Thanks, I shall definitely be more careful with my words. The reason he says “it’s gay” is because that’s how 15 year olds talk. Yeah it’s 2017 no need for homophobia but that’s how teenage boys are, not an excuse but an explanation. They say immature stuff like “haha that’s gay”. Don’t be so pressed over a good book, it’s a book.